With the number of caps being increased minimum 1000 per trade code under federal skills immigration scheme and with relaxing provincial skills migration annual cap for every trade codes, migrating to Australia has really become exciting. With these changes, now more number of people can Migrate to Australia through different schemes such as temporary and permanent. Though there is long wait in line of desired candidates to enter in to Australia through skills and business immigrations schemes, but many candidates wants to obtain Australia Permanent Residency. Attaining permanent residency in a country like Australia is a dream comes true for many aspirants, and achieving PR status would enable them to enjoy all the services and facilities provided by the government of Australia. A candidate living in Australia under PR status will be treated equally with the national of the country and the exceptions include such as permission to run for elections to posts and public offices and right to vote in elections. The Australian permanent residence visa holders are not only eligible for free medical and social security but also grants dependent of PR holders to take up education across Australia. The validity of the Australian PR visa is for five years. During this period candidate can travel in and out of the country. However, after the expiry of PR visa if a candidate wants to travel to and out of the country, he or she must get permission for resident return. 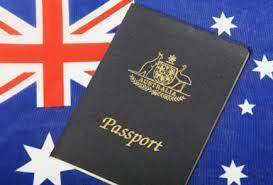 There are ways and options for attaining Australia Permanent Residence Visa. They are classified as business migration and skilled migration initiatives. Under the Australia Skilled Migration below are the visa classifications. Australia Skilled Independent Visa – Subclass 189: It is the most renowned and popular way of attaining Australian PR. Through type of visa entrants are allowed to choose their own place of residence in any part of the country. And under this type an entrant is allowed to select employment based on their convenience. Applicants are selected by the SkillSelect system. The applicant is expected to get a minimum of 60 points. Australia Skilled Nominated Visa – Subclass 190: It is also PR visa for candidates who are not able to meet the requirements of the skilled independent visa. An applicant must be sponsored by the relative residing in the country or nominated by the territory or state governments. To migrate to Australia under business migration scheme, it is available through subclass 132. For this type of visa you have to attain a provincial nomination.